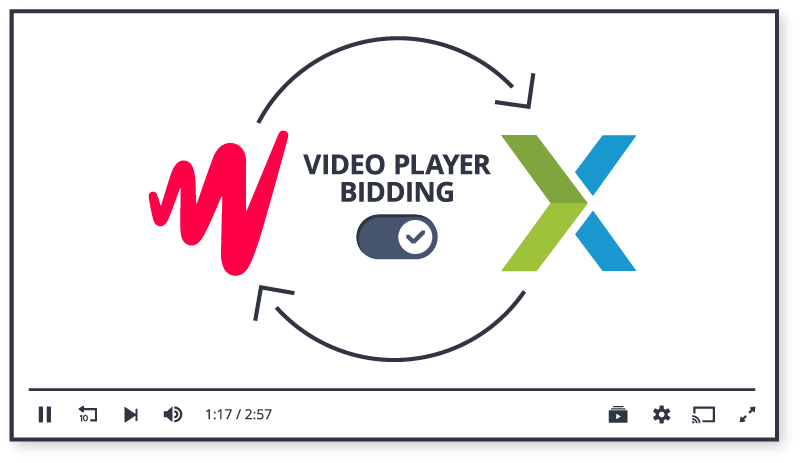 We’re thrilled to announce the launch of Video Player Bidding, a breakthrough header bidding solution for video with our exclusive partner SpotX, the leading video ad serving platform for publishers. This special partnership marks the first time video advertising will be directly integrated into a player. Rather than inserting an ad script into the header of a page, publishers can simply flip a switch from a video platform to activate header bidding, no implementation required. In essence, you get the benefits of header bidding without the header. By connecting JW Player publishers with SpotX’s modern ad server, video player bidding overcomes the challenges inherent in header bidding—greatly improving monetization with maximum CPMs and ad fills. For publishers trying to achieve the unenviable task of merging video tech with ad tech, video player bidding brings together the best of both worlds. Header bidding is the practice by which publishers can simultaneously garner bids for ad impressions from multiple demand sources before calling the ad server, resulting in more overall ad yield for publishers. While in theory these programmatic exchanges should happen automatically, in practice the process is complicated and hard to implement, especially in a fragmented marketplace. In addition, header bidding is a direct cause of page latency. Plugging in more SSP tags slows pages down significantly and increases the likelihood of viewers installing ad blockers. Video player bidding offers a powerful solution to these challenges. By integrating directly into the web player, the ad decision is made server-side before a viewer hits play, vastly reducing latency. Compared to header bidding, the process is much more streamlined. Publishers will have access to 65+ DSPs, driving demand and giving advertisers access to previously unavailable premium inventory. Publishers can also leverage valuable video metadata to increase the value of their inventory. We couldn’t be more excited to join SpotX in bringing this innovation to the market. In an age when brand safety, trust, and transparency are of paramount importance in the digital ad world, we believe our one-of-a-kind solution will help both publishers and advertisers reach unprecedented success. Ready to become a video-first publisher? Schedule time to talk with one of our video experts.